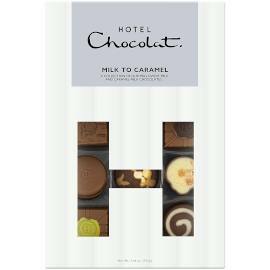 A luxury heart shaped box of chocolates for Valentine's Day, the Hotel Chocolat Straight from the Heart Chocolate Box is the largest box of chocolates in Hotel Chocolat's valentines collection. 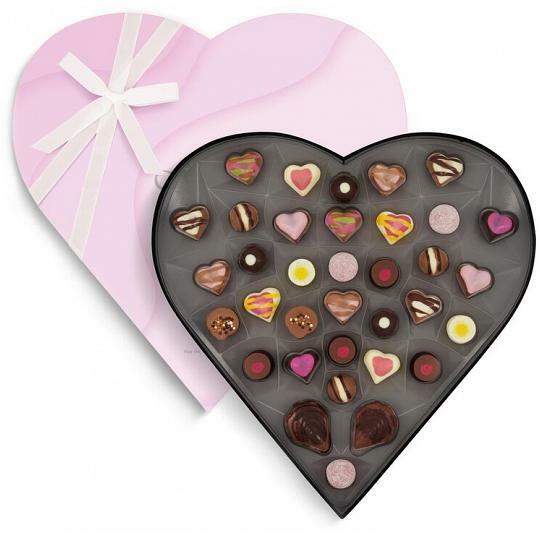 Filled with a selection of chocolate hearts and chocolate truffles in romantic recipes and exciting flavours. Chocolate Type: milk, dark & white. 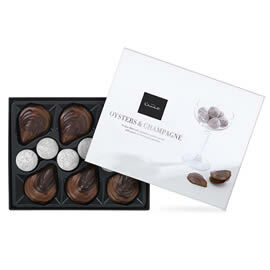 Flavours: Champagne Truffles, Praline Milk Oysters and Flavoured Chocolate Hearts. Types: truffles, mousses, filled chocolates. 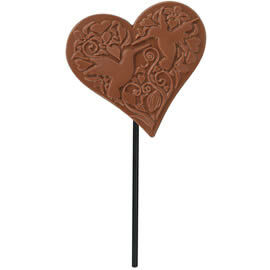 Collection: Hotel Chocolat's Valentine's Day Gifts. 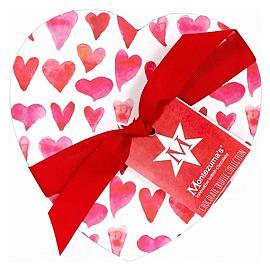 Presented in a white ribbon tied box, with a bright red Valentine design. 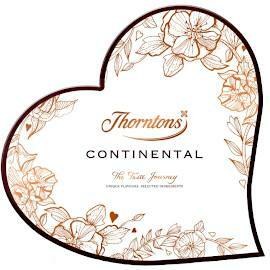 A large box of chocolates for Valentine's Day, presented in a heart shaped chocolate box.